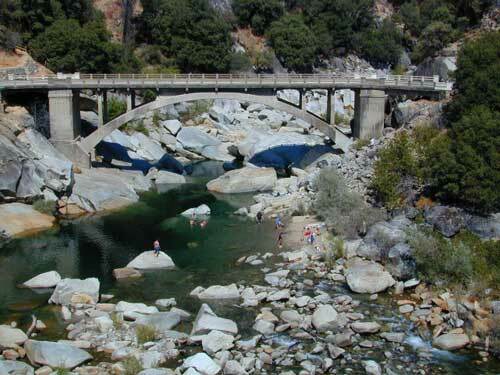 Yuba county, city and river are located in the upper Sierra Nevada, north Gold Country. Only a few small towns around here, but lotsa National Forest land and gorgeous granite rock. Yuba City is well known for its orchards, agriculture and diverse population. 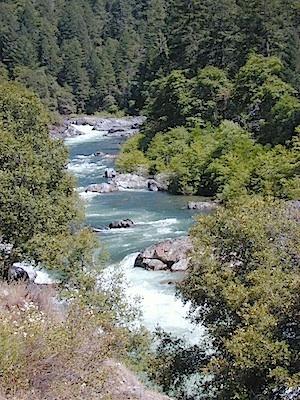 Yuba River is a recreation hot spot most of the year – spanning from the foothill canyons up to higher elevation alpine lakes. 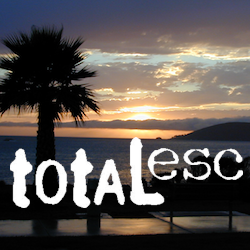 Camping, kayaking, fishing, camping, hiking, swimming holes & waterfalls. Most of the population wants to dunk themselves in a cool mountain stream when the temperatures get beyond 100 degrees, which is the summer months near the Sacramento area. This gold country region of the Sierras, is only about an hours drive up the hill; obviously, the further you drive the better it gets. Tons of one lane and dirt roads to explore. Fishing and camping almost everywhere. 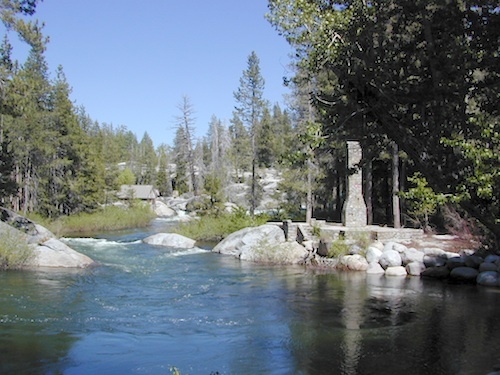 California’s Yuba River headwaters go all the way up to the Donner Pass in the Truckee region, along Interstate 80. 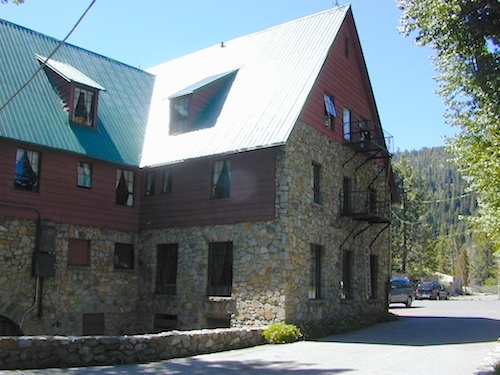 Rainbow Lodge is an impressive, historic, river rock inn located right on the river. 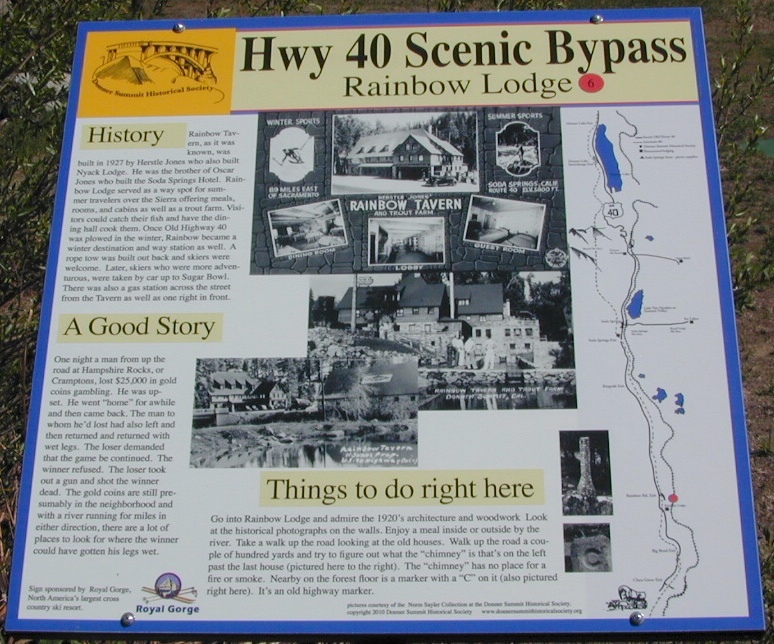 Royal Gorge is the area near the ‘Big Bend’ of the old road – Historic Highway 40. National Forest Campgrounds are also located nearby. Many scenic, small lakes exist up in these higher altitudes. Lake Faucherie, Sawmill Lake and Bowman Lake are all part of this Yuba watershed, along with about a dozen other lakes. Next Post → What is Camping?